In ten days, I’d move from Florida, where I’d spent the summer with family, to Caltech. Unfolded boxes leaned against my dresser, and suitcases yawned on the floor. I was working on a paper. Even if I’d turned around from my desk, I wouldn’t have seen the stacked books and folded sheets. I’d have seen Lorenz curves, because I’d drawn Lorenz curves all week, and the curves seemed imprinted on my eyeballs. 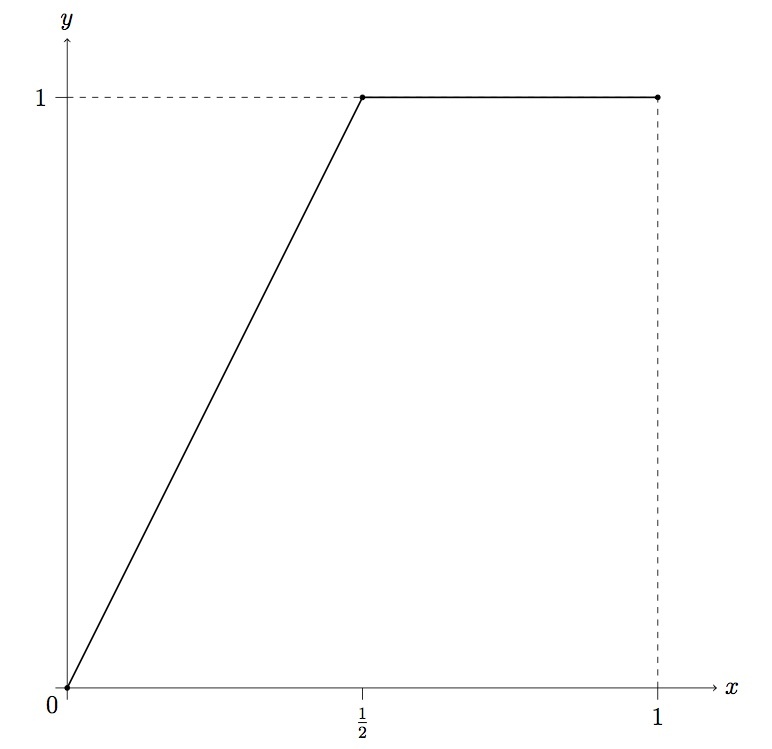 Using Lorenz curves, we illustrate how much we know about a quantum state. Say you have an electron, you’ll measure it using a magnet, and you can’t predict any measurement’s outcome. Whether you orient the magnet up-and-down, left-to-right, etc., you haven’t a clue what number you’ll read out. 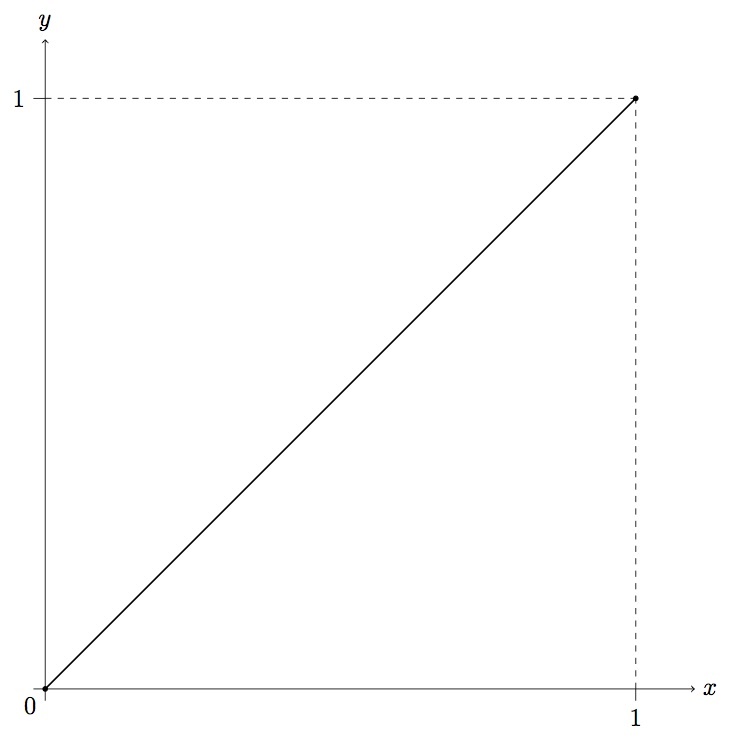 We represent this electron’s state by a straight line from (0, 0) to (1, 1). Say you know the electron’s state. Say you know that, if you orient the magnet up-and-down, you’ll read out +1. This state, we call “pure.” We represent it by a tented curve. 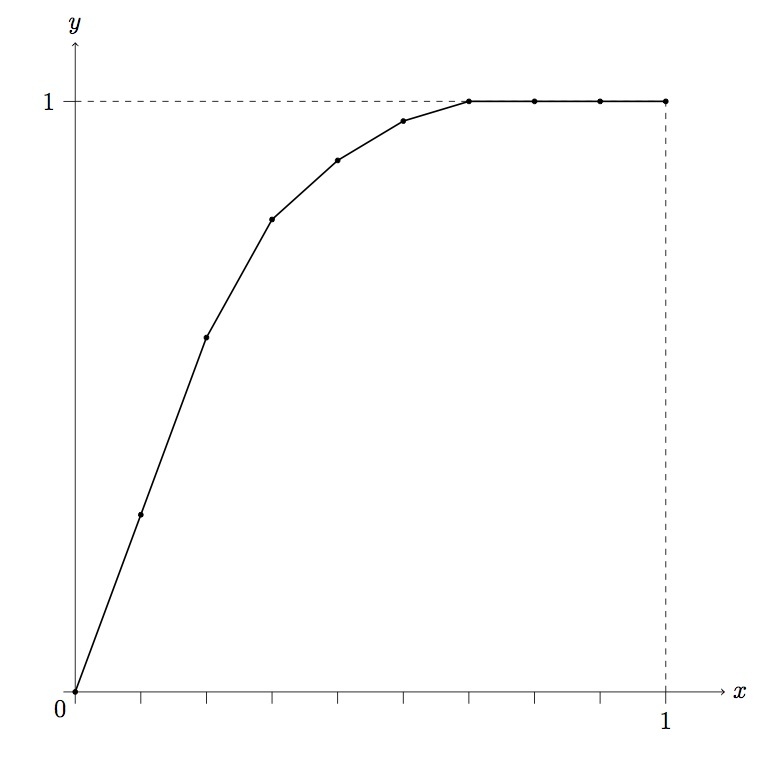 The more you know about a state, the more the state’s Lorenz curve deviates from the straight line. 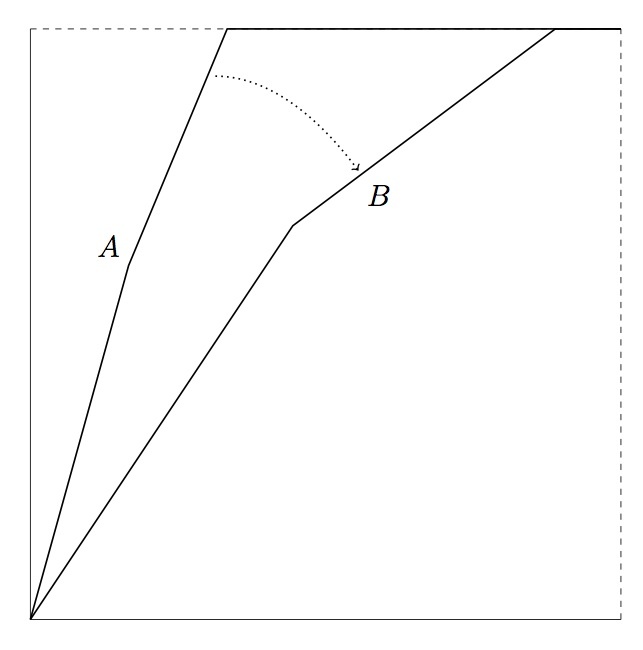 If Curve A fails to dip below Curve B, we know at least as much about State A as about State B. We can transform State A into State B by manipulating and/or discarding information. By the time I’d drawn those figures, I’d listed the items that needed packing. A coauthor had moved from North America to Europe during the same time. If he could hop continents without impeding the paper, I could hop states. I unzipped the suitcases, packed a box, and returned to my desk. Say Curve A dips below Curve B. We know too little about State A to transform it into State B. But we might combine State A with a state we know lots about. 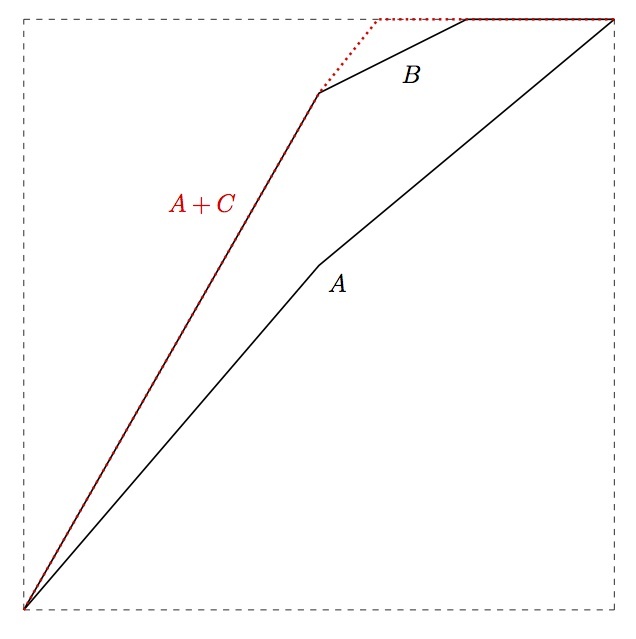 The latter state, C, might be pure. We have so much information about A + C, the amalgam can turn into B.
I glanced at the suitcases, at the books, at the sheets, at my email. What’s the cost of moving from state to state? A plane ticket. Fifty dollars per suitcase taken on the plane. Peace of mind. Time to edit papers. A few hours after he replied, I returned—one suitcase packed—to Lorenz curves. Phenomena described by Lorenz curves, I’d realized, differ from everyday phenomena. Perhaps you’ve heard of distinctions between quantum and everyday phenomena. Oft-referenced quantum behaviors include entanglement: A measurement of one electron can instantaneously affect an electron across the room. I refer to nothing so heady as entanglement. I refer to the confluence of costs and yields. 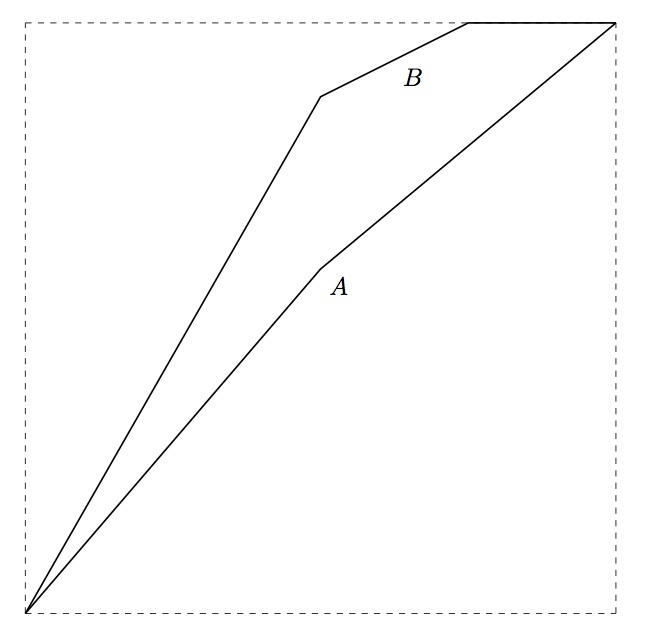 Suppose Curve A lies far above Curve B. You have loads more knowledge than you need to make State B. 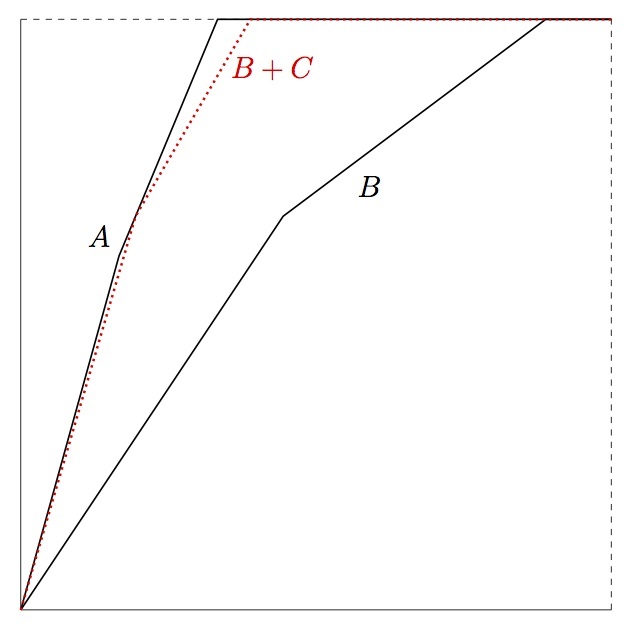 In addition to creating B, you can create an information-dense state C.
According to our paper (and other papers), a conversion can have a cost or a yield or neither. A conversion cannot have a (positive) cost and a (positive) yield. But moving from Florida to California can have both. After the boxes had shipped and the suitcases had zipped shut, after I’d boarded the plane and left a minivan, I blinked in the sunlight. I stepped onto one of the most stunning campuses I’ve seen. 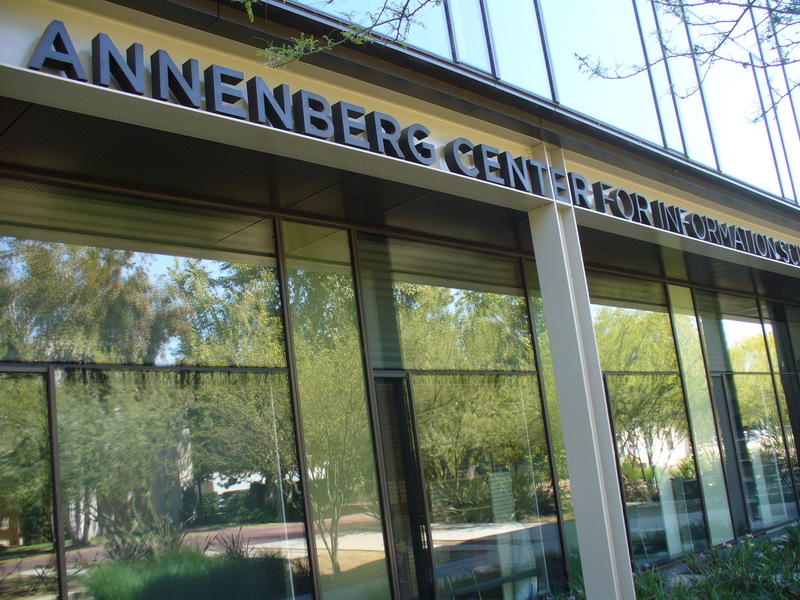 I’ve been grateful for what that campus holds: a welcome by the IQIM, conversations with group members, a desk in a window-filled office, a U-Haul’s worth of Lorenz curves to study in said office. I’m grateful that the macroscopic world differs from QI—that our transitions combine costs with yields. This entry was posted in Reflections, Theoretical highlights and tagged Lorenz curve, Resource theory, state transformation by Nicole Yunger Halpern. Bookmark the permalink. Congratulations Nicole for your paper! Still remember and love you fantastic presentation!